1. Who will be La Costa Canyon's No. 5 runner? 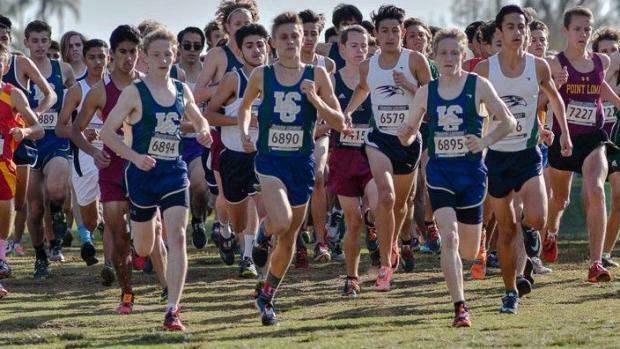 With Jacob and Garrett Stanford and Caleb Niednagel a strong possibility to be among the Top 10 and Andy Pueschel a Top 20 candidate, the focus will be on junior James Miramontes who was 21st in the section championships. A top 30 finish by him would probably be enough to give the Mavericks a team title. Maybe even among the top 40. 2. Can Nader Ali make a run for the Top 5 in D-IV? A lot depends on how he recovers from a scary incident last week. The Crawford senior had to have some blood taken for a test and couldn't train the entire week leading up to the section championships. He still won handily. He was 12th a year ago and five runners who finished ahead of him return, led by defending champion Anthony Grover of JSerra who was fourth in the SS championships. 3. Will San Diego get it a team champion? The odds are against it. Certainly La Costa Canyon would have been favored had they remained in Division III but moving up to Division II is a whole other game with the likes of Newbury Park and Claremont. Elsewhere, since LCC is gone from Division III, deep El Capitan might have a chance. The No. 5 runner will need to be closer than the 40 second gap at the section meet. 4. How will the runners fare on a fairly flat course? There is a big difference between the section championship course at Morley Field which has a monster hill and undulating, never flat, course and Woodward Park which has one steep but very short hill and some flat spots. Foot speed suddenly becomes much more important than on a hilly course and a sprint start is required to avoid being left behind. 5. Who will be the surprise? Each year it seems the section has someone who isn't even mentioned in the pre-meet analysis. The easy choice would be Mission Hills' Jonathan Velasco who knows the course only as a spectator the two previous years. He had the fastest time in the section championships and was not pushed. The problem for him is he's in D-I with Jesuit's Matt Strangio.